If you stay in Belgravia you’ve got four tube stations to choose from. Knightsbridge and Hyde Park Corner tube stations are both on the Piccadilly Line, with Victoria and Sloane Square tube stations on the Circle and District Line. From Hyde Park Corner you can get to Covent Garden in only 6 minutes where you can experience the vibrancy of Covent Garden Market. An 8 minute journey from Sloane Square to Waterloo will take you to the fantastic London Eye. It will only take you 9 minutes to get to London Bridge where you can dare yourself to enter the London Dungeon! A 10 minute journey from Hyde Park Corner will take you to stunning St Paul’s Cathedral (get off at St Paul’s). If you travel from Victoria Tube Station and get off at Tower Hill after 16 minutes you can visit the historic Tower of London. If you want to catch a football match at Wembley Stadium you only have to travel for 21 minutes from Knightsbridge Tube Station to Wembley Park Tube Station. If you choose to drive around the area, you’ll find an NCP car park near Victoria Train Station at Eccleston Bridge on Belgrave Road. If you don’t fancy driving or getting public transport then there are numerous taxi companies in the area. 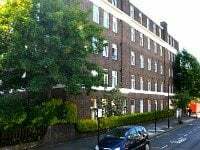 You’ll find Airport Cars near Victoria Train Station on Buckingham Palace Road, or Chelsea & Harbour Cars near Sloane Square Tube Station on Lower Sloane Street. 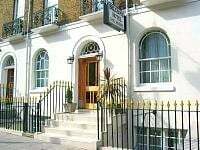 As Belgravia is so centrally located you will be able to walk to masses of London tourist attractions. Start out at Hyde Park Corner Tube Station and busy Oxford Street (a shopper’s paradise) is only 17-minute walk away. The Natural History Museum and the fantastic Science Museum are just 19 minutes away, and Big Ben and the Houses of Parliament (a must-see during any visit to London) can be reached on foot in about 20 minutes. The wonderful Sherlock Holmes Museum and Madame Tussauds on Baker Street are a 22-minute stroll, and one of Europe’s largest displays of aquatic life is waiting for you at the London Aquarium (just 30 minutes away). You can even walk to Stamford Bridge, the football ground of premiership football team Chelsea FC, in about 34 minutes.